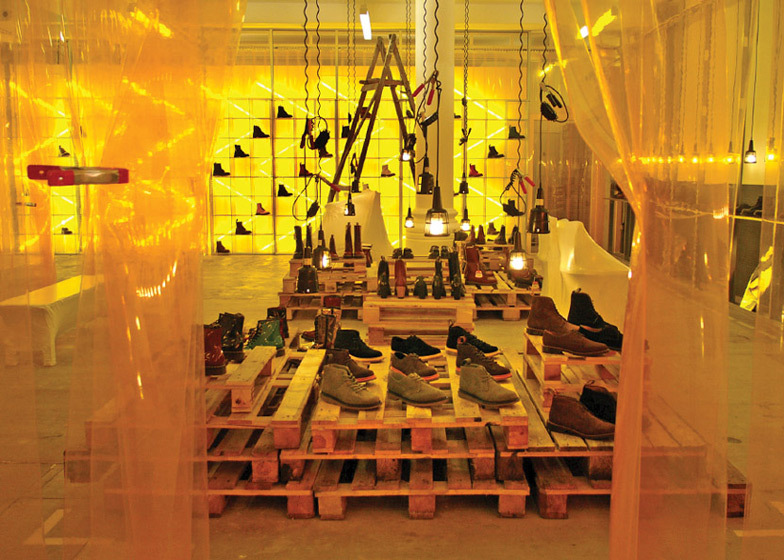 FreshBritain and Campaign created a pop-up store reminiscent of factory warehouses and stockrooms for shoe brand Dr. Martens ( + slideshow). The temporary space is located in London's Spitalfields Market and was assembled in under a week using pre-fabricated and inexpensive building materials. Shoes and boots are displayed on wooden pallets and in metal cages, whilst furniture and objects have been covered in shrink-wrap. 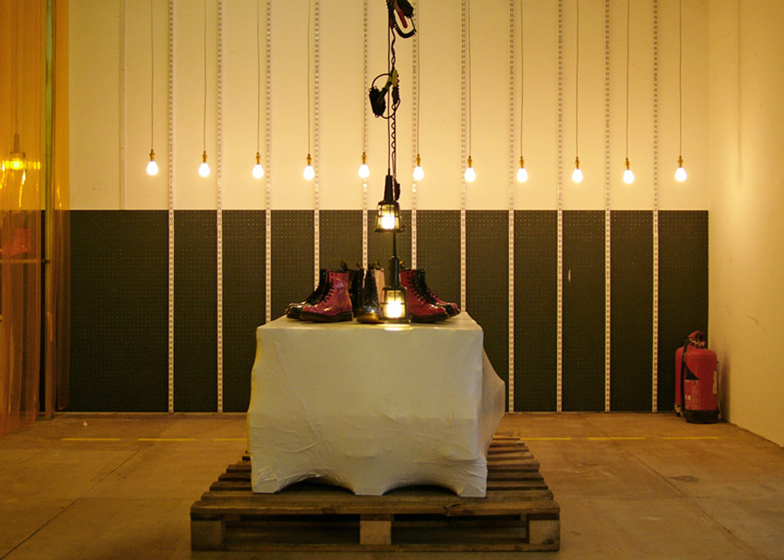 The shoes are spotlit by low-hung construction lighting and excess electrical cord has been secured with clamps to accentuate the DIY approach. 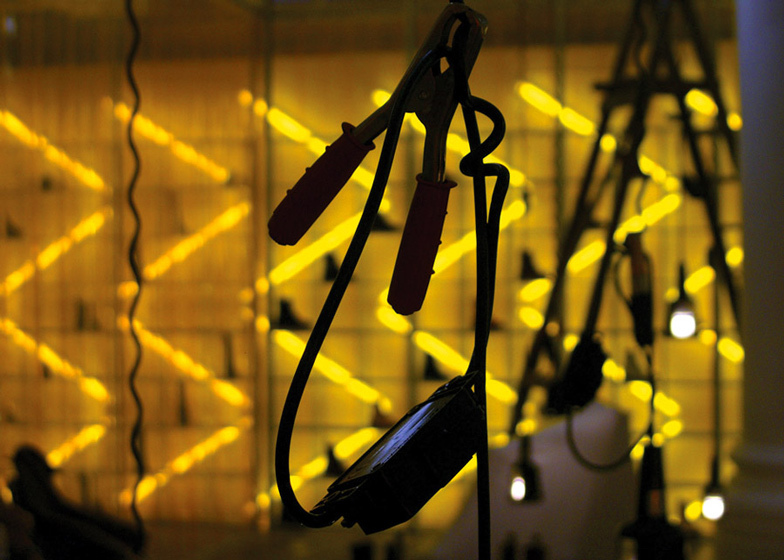 The space is divided by translucent, yellow PVC Curtains and strip lights have been arranged in zig-zagging lines to backlight the displays. Turning the current economic downturn to an advantage Campaign created a temporary retail space for the iconic brand in the heart of London’s East End. 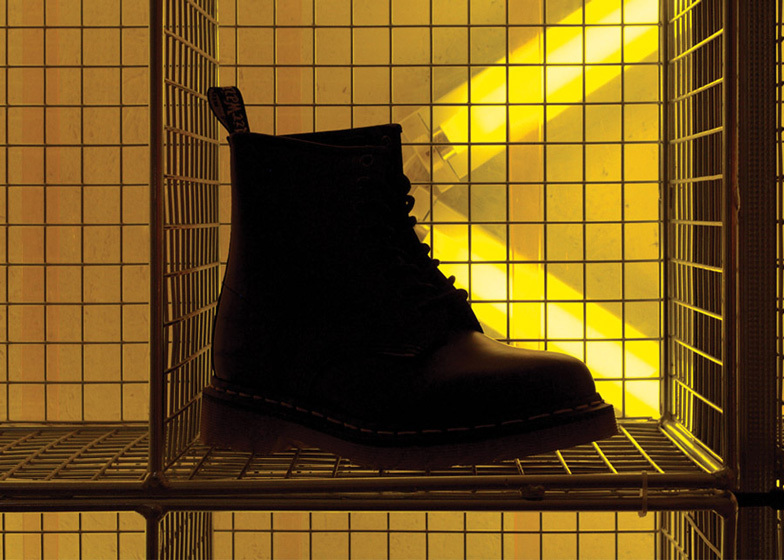 Inspired by Dr. Martens’ heritage and attitude that catapulted it from a working-class essential to a counter-cultural icon, the store has been designed with a no frills aesthetic using inexpensive industrial materials, readily available and quick to assemble. Off the shelf industrial fittings combine with customized elements to create a shop more akin to a warehouse stockroom, an area usually out of bounds to the customer. 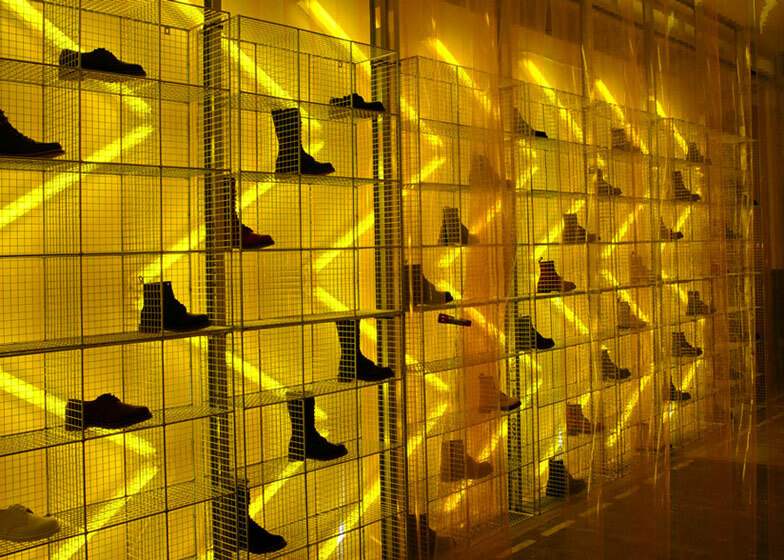 The brand’s trademark yellow is vigorously expressed throughout the space; footwear on display on the back wall is illuminated with graphic fluorescent lighting and a movable bright yellow PVC curtain to divide the shop floor. Salvaged furniture and objects are shrink-wrapped and dotted throughout the store. Signage has been stencilled with spray paint to the store’s glass facades, concrete flooring and shrink-wrapped objects. 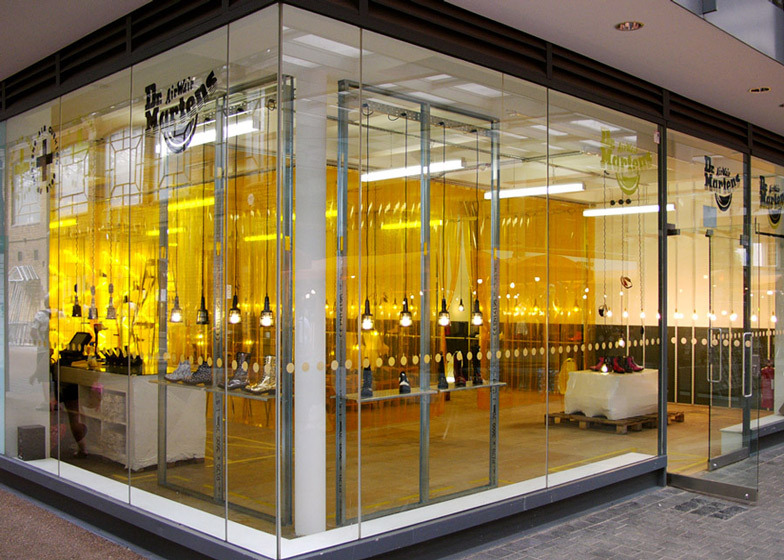 Constructed within six days, the interior fit-out of the pop-up store has been achieved at a fraction of the cost of a conventional retail fit-out.